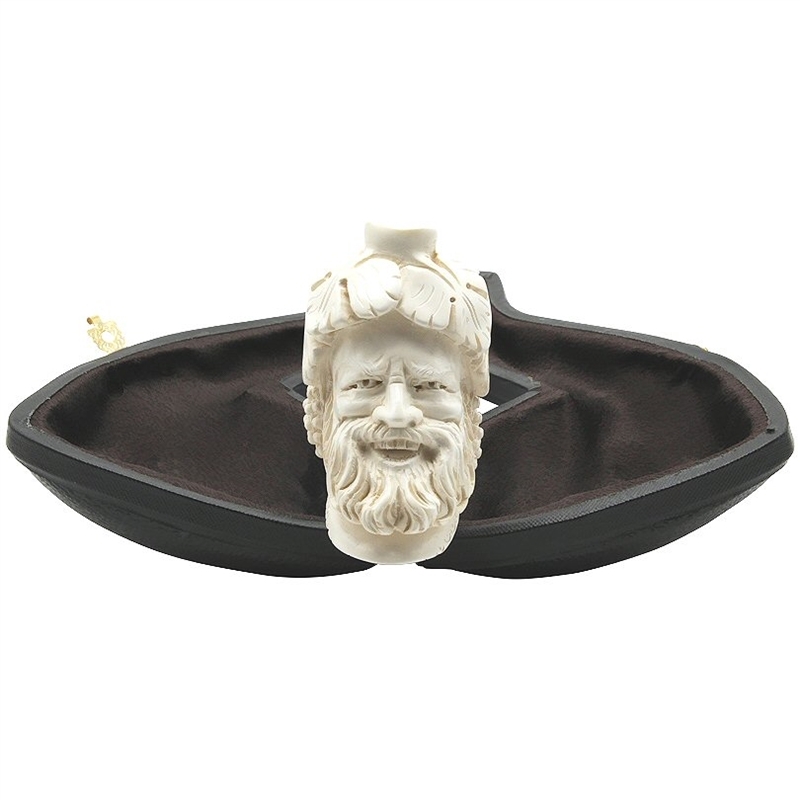 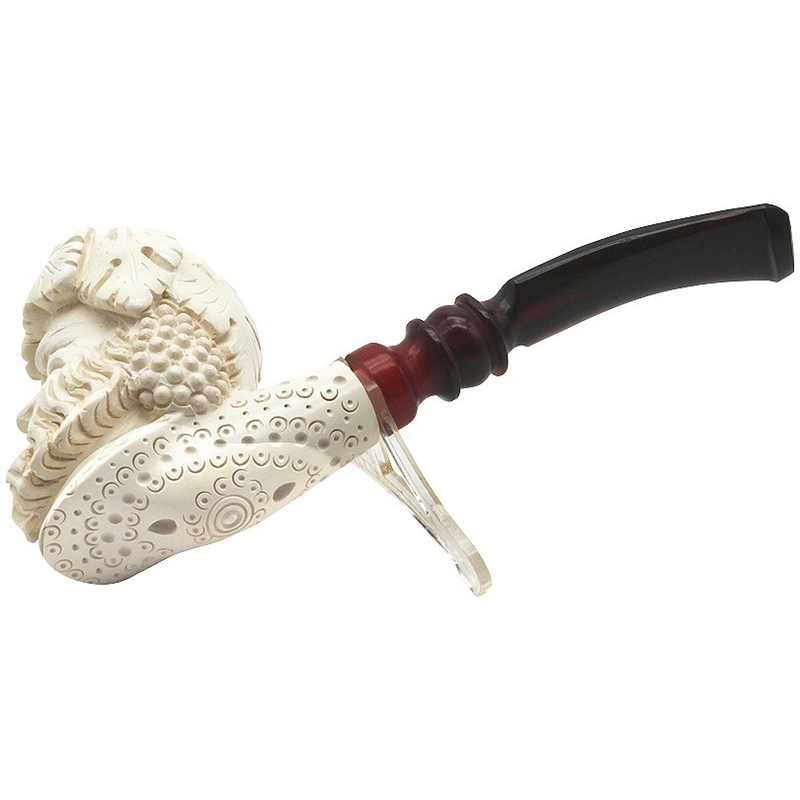 Deluxe Hand Carved Tall Bacchus Meerschaum Pipe - Laughing Bacchus features a tall and deep bowl to pack in lots of tobacco for an enjoyable long smoke. 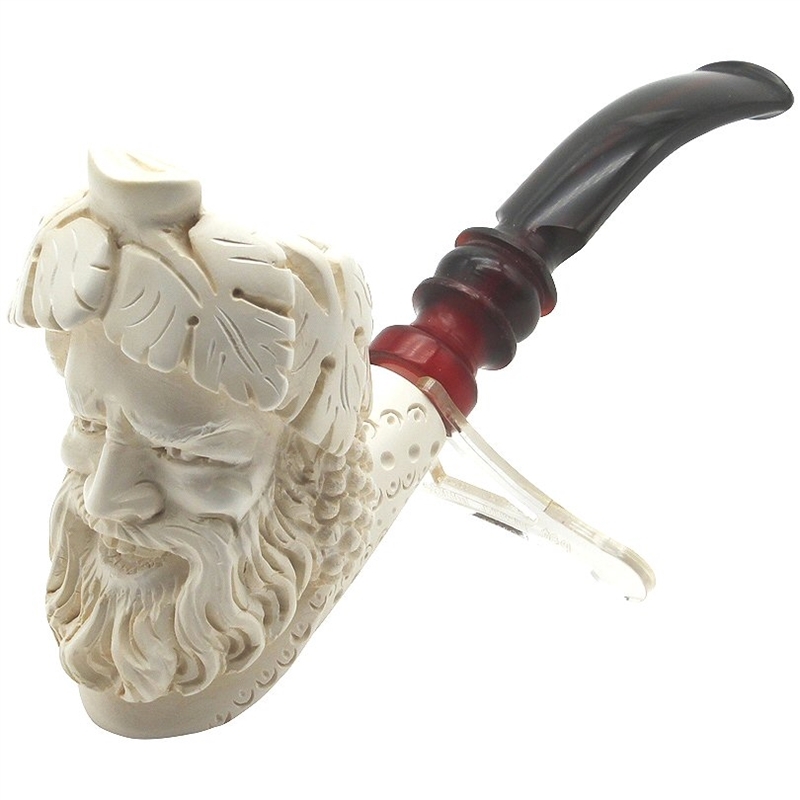 The underside and shank of the pipe is carved in an artistic lattice design. 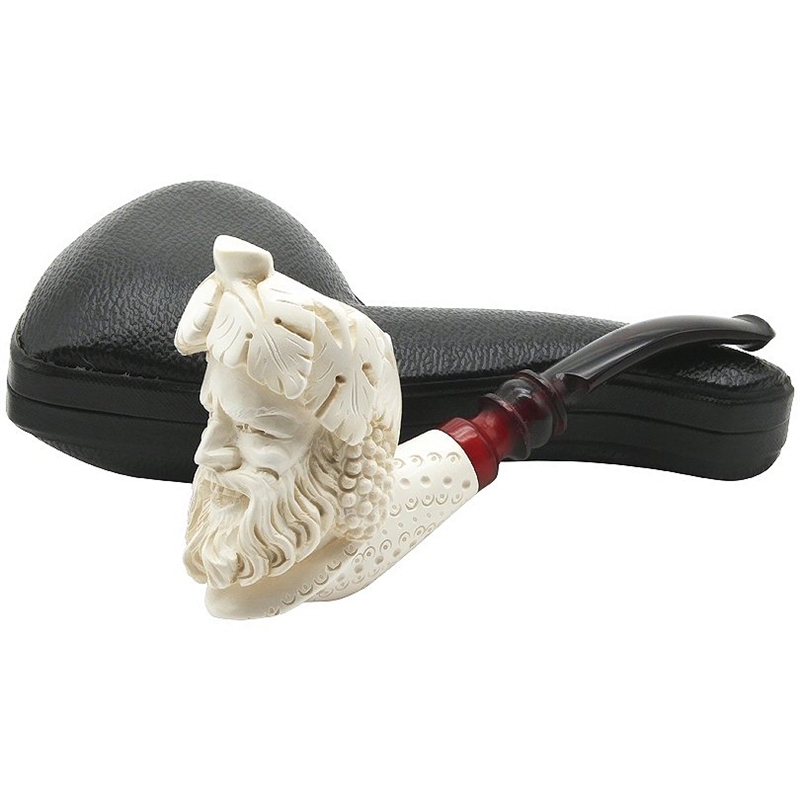 The pipe comes with a designer scrolled dark stem that is slightly bent.